“Honey, let me pay with my card? / Oh, wait. I’m broke / Can I pay with my heart?” – Being broke is not fun. Being broke is one of the most frustrating, agonisingly inconvenient states of being, ever. 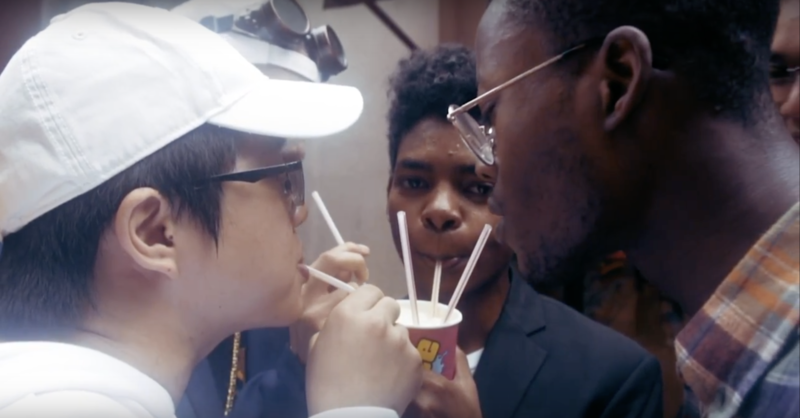 Over the years, contemporary rap has become the de facto soundtrack for beyond-imaginable wealth and riches but today homegrown rap group, Yeti Pack, and producer J.SON, have flipped the script. Today, they release into the world an ode to the (much more realistic) circumstance of being ‘BROKE AF’. In their own ways, the single and accompanying music video are hilarious, idiosyncratic and effectively so. Over a slippery, gooey synth, punctuated with insistent thumps of bass, Yeti Pack unspools quoteworthy narratives about the #brokelife. Local YouTube stars Hirzi, Kishan and Sofia, lend their comedic bona fides to the video, enlivening the track even more with emphatic displays of charm and character. The whole thing is delightful, dashing and highly replayable.